When Royal Robbins first led this in 1952, it was the hardest free climb in the country and the first 5.9. A half century later, this climb still commands respect because of its mandatory run-outs and old school style. 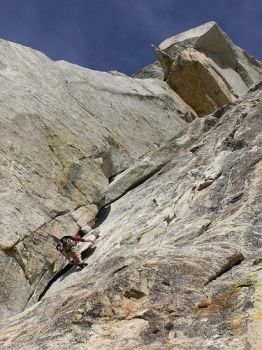 This is a classic line and must-do-route for anyone who collects ascents of historically significant routes.